The Dark Aether Project - "Feed The Silence"
My first exposure to the Dark Aether Project was seeing them live last year the evening before North Carolina's ProgDay festival. I recall enjoying their brand of mostly instrumental, Discipline-era King Crimson influenced progressive rock, but not being overwhelmed. And I really didn't like the vocalist that joined them occasionally throughout their performance. I never heard the band's debut CD, but their newest release shows a vast improvement over my experience with the band last year. The style varies across the CD's six tracks but is primarily instrumental with only occasional vocals. The music is dark atmospheric progressive rock bordering slightly at times into psychedelia. The promo material states that "highly composed music is balanced with equal parts improvisation" and this is apparent while listening to the music. The band consists of Adam Levin on Warr 8 string guitar, keyboards, and loops, Yaman Aksu on guitar and Hammond organ, Brian Griffin on drums (replaced after this recording by Allen Brunelle), and Ray Weston on vocals. Adam Levin is a mover and shaker on the prog rock promotional scene being involved in the Baltimore Progressive Rock Showcases at Orion Studios which have also included a number of SpaceRock shows and mini-festivals. "Burnt Sunrise" is one of the tunes that has a slight psychedelic edge, due in part to the presence of the Hammond organ. Actually the Hammond is included in a context not typically heard making the music difficult to describe. Over nearly 13 minutes the music doesn't develop much but journeys along at a steady pace that kept my attention throughout. During the last few minutes, however, things get quite interesting as the guitar and Warr Guitar duel steadily along with the synths. The Discipline-era Crimson influence lurks just a bit in the background but isn't as prominent as it is on other tunes. "Stages" is a tune that could almost have been an out-take from the Discipline sessions. It's an interesting track though as it alternates between this style and the band's own sound. "Nightmare" and "Building The Worm" are my two favorite tracks. "Nightmare" maintains a tribal war beat throughout the song and includes a gorgeously screeching guitar sound that gives it an acidic quality. This is one of the vocal numbers but Ray Weston's role seems to be secondary to the music on this track. "Building The Worm" is a duel Warr Guitar track with Adam Levin and Markus Reuter of the Europa String Choir. Partly a Fripp-styled soundscape piece the duo create gorgeous ambient guitar music against a spacey background. This is the shortest tune on the disc and I would have liked to hear the pair take this tune a bit further. "Feed The Silence" is Weston's one shining moment on the album. The track starts off pretty laid back but then launches into an intense song with Crimson guitar patterns and Ray's powerhouse singing like the old echolyn days. The final track, "Out Of The Dark", is from a live performance. It sounds like a spacey ambient version of a mid-70's era Crimson improv, though the Crimson sound gets stronger as the song goes on. Though I love Ray Weston's vocals I still think that this band was meant to be a purely instrumental outfit, but Ray by no means detracts from the music. Overall a fine effort and I'll be looking forward to my next live experience with Dark Aether Project at this years ProgDay festival. 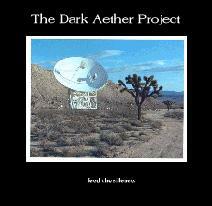 You can visit Dark Aether Project at their web site.